It’s been nearly five years since we said goodbye to the Dunder Mifflin Paper Company, and yet, the loss is no less painful than on that dreary day in Scranton, PA.
A few months back, it was reported that NBC would be reviving hit workplace mockumentary series, The Office, no doubt a move inspired by the successful return of another National Broadcast Company series, Will & Grace. 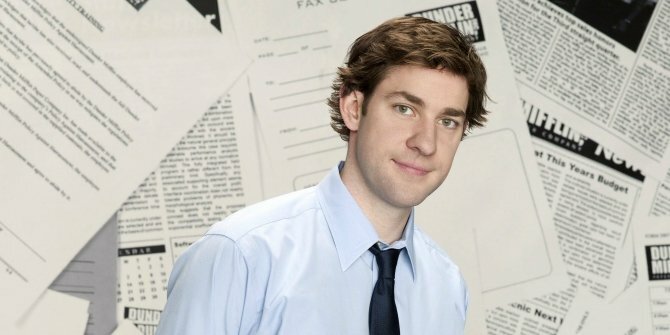 The resurrection won’t be a remake or a reboot, but instead, a continuation of the show, documenting the day-to-day lives of several familiar Dunder Mifflin employees and integrating some new faces along the way. While promoting his new film, A Quiet Place, which currently holds a perfect score on Rotten Tomatoes, Krasinski restated his desire to return to the series, even if it’s in a unique setting. “I don’t think anybody in our show sees that we didn’t end it the way we wanted to end it. We’re one of the very lucky shows that got to end when we wanted to, how we wanted to. So I don’t know how it exciting it would be to do a run of the show, ’cause you don’t want to retread old things and have people not be as excited about it as they are now. What the Jack Ryan star is saying makes a lot of sense. Having run for nine seasons, The Office hardly ever saw a drop in quality and ended its tenure on a satisfying high note, something most long-running series cannot say. Ultimately, though, NBC has the final word, even if something like a Christmas Special might be in the show’s, and fans’, best interest.